Our memories keep our yesterdays, our friends’ faces, the distinctive smell of previous partners, if we’ve read that book before, what clothes you wore to the party. Is DNA methylation what preserves your memories? Among neurobiologists are some looking for the basis of memory, how is it that neurons (nerve cells) record an event, a smell, a sight? We know they do, but how? DNA methylation is one of several ways to control the state of a gene, if it is able to be used or not. 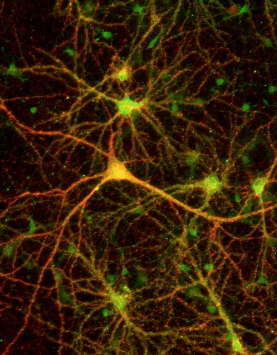 Regulation of the state of a gene might be used to define a pattern of responses to signals in a neuron, that can then represent part of a memory. For several decades it has been known that genes can be regulated through particular proteins binding to short DNA sequences near them. The amounts of these proteins reflect what is going on in cell, is a shortage of sugar being experienced, is more of some particular enzyme needed, did a neighbouring neuron send a particular signal. These effects on the expression of the gene are short-lived. While the regulatory factor is bound to DNA they act, but they soon fall off. This frees up the DNA binding site for another regulatory factor to bind. In this way genes can respond to changing conditions through time. The effect is to control the rate of gene expression – how often it is used – depending on the level of the regulatory proteins. Epigenetic control of gene expression is different. It controls of the state of the gene, if it is able to be used or not. DNA methylation adds a methyl group that stays chemically bonded to the DNA base until it is enzymatically removed. In a sense, these epigenetic modifications give a gene a ’memory’. Not the sentient kind of memory that marketers of ’woo’ abuse. (For ‘woo’, read: worthless natural health remedies.) Genes don’t have feelings or emotions. Imagine a complex electrical circuit, with switches that can control if part of the circuits can let electricity flow through it or not. Imagine, too, that we can separately control the amount of electricity we deliver to each wire (or gene, in our analogy). The idea is that DNA methylation sets the state of the gene circuitry in the nerve cells in the brain, ’fixing’ how they respond to signals from neighbouring cells so that they set to act in a particular way signals. Miller and colleagues found that learning induced DNA methylation of the calcineurin gene in a region of the brain associated with working memory (the frontal cortex) in mice, and that this DNA methylation persisted for at least for the 30 days after they taught the mice. They found that if they later injected chemicals that blocked DNA methylation inhibitors, enzymes needed to establish and maintain DNA methylation in dividing cells, into the frontal cortex the mice forgot what they had learnt. These enzymes can be thought as a latches that ensure the switches stay in their settings as a cell divides into two. 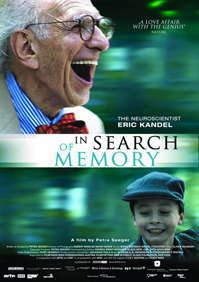 Their results suggest that the maintenance of the memory they tested is associated with DNA methylation of this gene. Regardless of my wariness, these findings are consistent with the idea that DNA methylation is associated with maintaining memories and will no doubt prompt closer investigations into this possibility. After all, who wouldn’t want to know why you can remember all those things that make up ’you’? 1. I don’t research this specific area, but I do keep an eye out for opportunities using computational biology in neuroscience and the biological ’story’ I focus my own computational interests on are the molecular mechanisms behind gene regulation in ’higher’ species, in particular the role of chromatin and with that, epigenetics. 3. An exception is when cells replicate, dividing to become two: enzymes are needed to create a copy of the same methyl ’tag’ to the corresponding portion of the gene of both daughter cells. 4. Some readers will see that this provides a (overly simplistic) scheme for a computer model of memory formation and maintenance in neurons. 5. The broad sweep of the issue, without going into details, is that these measurements of DNA methylation measure samples of many cells whereas the real activity is likely to happen on individual cells and furthermore these measurements are effectively correlations; they do not establish a causative chain of reasoning, they don’t show that the DNA methylation is directly encoding ’memory’, but that the levels of DNA methylation, measured in larger samples, correlate with a change in memory.